This recipe has been a family favorite for years. 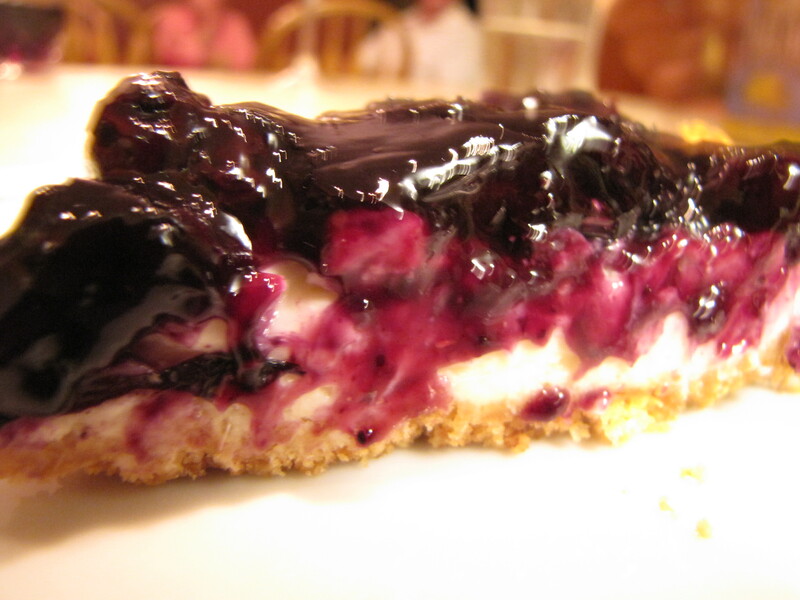 It’s lighter than a traditional cheesecake and is quick and easy to make. I’ve adapted this from Williams-Sonoma’s Pies & Tarts cookbook. I originally bought the cookbook in 1992 and have looked for copies to give as gifts since then. It’s no longer in print but you can find it on Amazon. I highly recommend this cookbook! SHORTCUTS: Buy a ready made pie crust, top with fresh berries or fruit (peaches are great!) if they’re in season – also, you can use frozen berries for the sauce. In the winter I used a combination of mixed frozen berries – blueberries, blackberries and raspberries – and it’s a real winner! 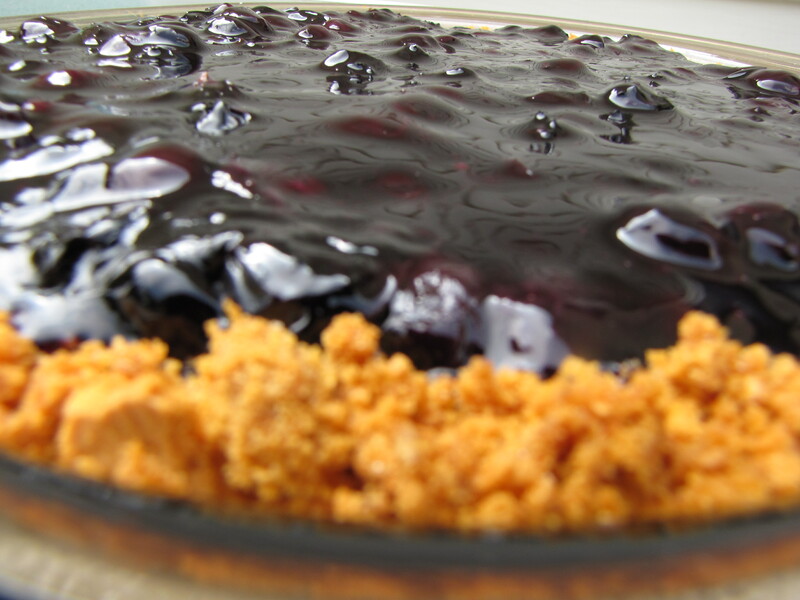 A decadent and lighter version of a blueberry cheesecake. Bake for 8-10 minutes at 325F. While the crust cools, combine the cheese custard ingredients, beat until smooth. Pour into cooled pie crust and bake 25 - 30 minutes. It's ready when the center is set, firm to touch. While the custard bakes, bring the berries, water and sugar to a boil. Reduce and simmer, covered, for 3-5 minutes. Add cornstarch mixed with the lemon juice, bring the mixture back to a boil for a minute, stirring constantly. Pour berry mixture over the cooled pie. Chill for at least an hour - serve and enjoy! Wow, does that ever sound delicious! Blueberries are in now at Hand Melon Farm. I plan to go picking this weekend. I’ll try my modified gluten free version and let you know how it goes! I’d love to share your gluten free recipe – you can post it in the discussions section on the Facebook page and I’ll update the blog too. Thanks Jill!